My Schedule…and A Little Extra: I flew across the field like a Pterodactyl…seeking the perfect Gazelle to prey upon. These were my thoughts as I soared over the animals while ziplining at the San Diego Wild Animal Park. My ever-thoughtful wife took me on a mystery date Saturday afternoon…she arranged a sitter and set the whole thing up…I had no idea where I was headed. She tweeted and posted Facebook updates clues about where we were headed. After a couple of clues I guessed it…it’s something I always wanted to do. The Wild Animal Park has the longest continuous zipline in the United States stretching two-thirds of a mile directly over the open valley where the rhinos, gazelles, and giraffes roam. You get up to about 35-40 mph and it takes about 2 minutes to reach the bottom. To the left is a picture of my wife checking out the zipline from the top…it was awesome! How lucky am I to have a wife that thinks of me like that? I chose well. | My Fantasy Football team has lost in week 1…I scored the second highest points in my league…the one team that scored more was my opponent. If I had started Lance Moore of the Saints I would’ve won. Ugh! | As a heads-up, I am trying a new strategy of not answering my phone before 10a to allow me enough time to research the market and respond to trailing emails. My Schedule: Working from home early this morning and then out this afternoon. As a general rule, I employ a strategy of not answering my phone before 10a to allow me enough time to research the market and respond to trailing emails. THIS TAKES 10 SECONDS…DO IT FOR ME! Join The Travel Mamas’ Guide Interest List now! My wife is The Travel Mama and is publishing her book in a couple months. We want to have as many interested people signed up as possible so please sign up on the Interest List by clicking the link above. Click here to see the book cover. 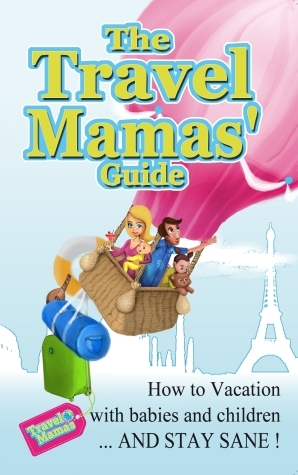 Click here to go to TravelMamas.com.